Triangle Gable Vent. 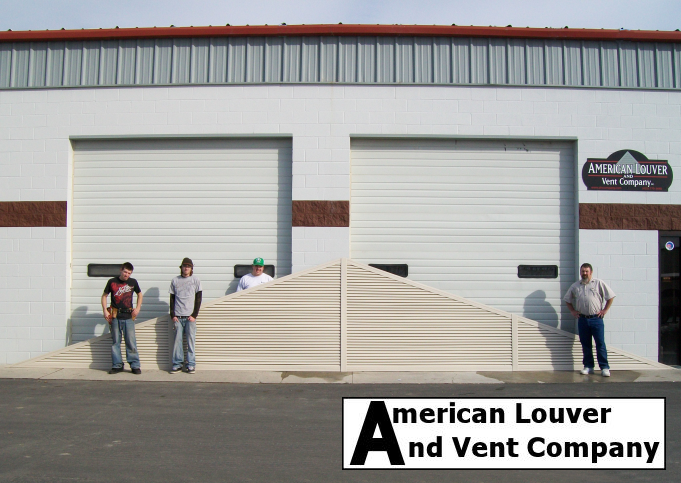 American Louver And Vent Company. 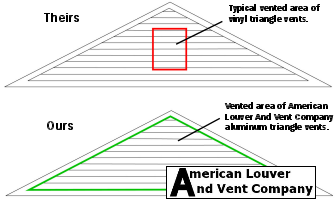 Triangle attic vents can be installed at the peak of the gable making them extremely efficient in moving air. 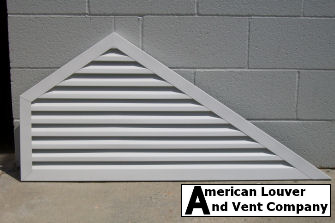 Our triangle gable vents offer top of the line ventilation. Most vinyl vents come with only a small portion of the overall size actually vented. 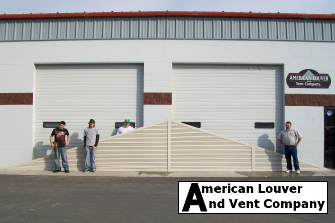 Our aluminum products are FULLY VENTED! 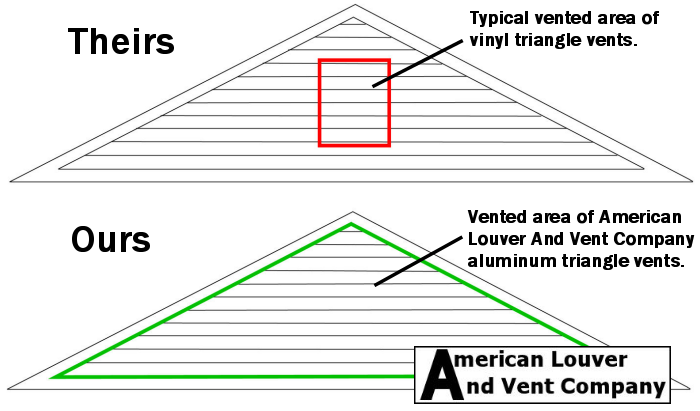 Our aluminum triangle gable vents are a beautiful, functional choice for your attic ventilation requirements. We can manufacture our triangle products in any size and pitch. 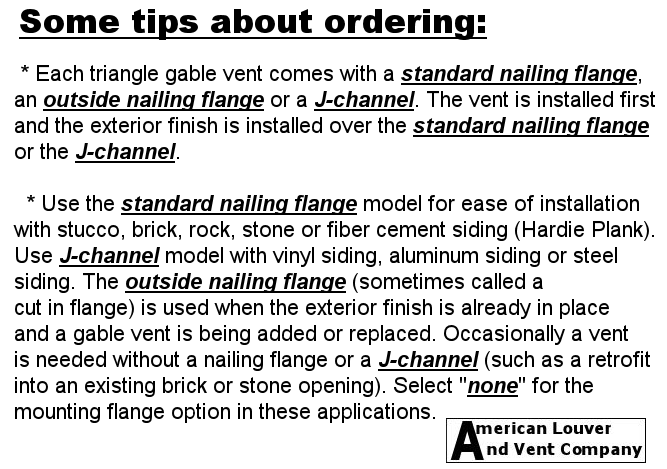 Our aluminum gable vents will help you avoid the various problems associated with both vinyl and wood gable end vents. Vinyl can warp, fade or needs to be replaced after just a short time due to UV degradation. Unlike wood, aluminum will not rot due to moisture. Aluminum will also prevent the structual damage that can be caused by termites, wood peckers and other critters. Don't mess with those complicated front and back, 2 piece vinyl vents. Installation of our 1-piece aluminum design is a straightforward, smooth process. Manufactured with utmost functionality, integrity and durability in mind our triangle louvers are built to last many, many years. 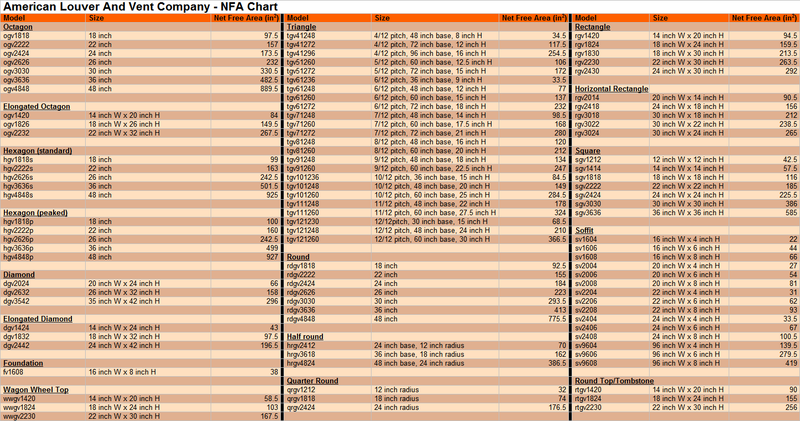 Our products are offered in hundreds of colors so there will be no need for painting these EVER! 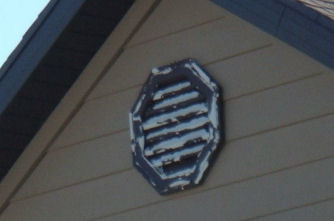 If a functional vent is not necessary you may purchase any of our gable decorations or a non-functional faux vent. These are also available in any dimension or pitch. All our listings are for functional gable end vents. 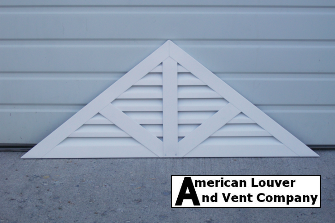 All our gable louvers, including our triangle gable vents and louvers can be made non-functional (decorative) as well! Faux/false gable vents can add beauty and style to your dream home.